You guys, I am so, so excited to say that I was able to photograph for Taproot Magazine's latest issue: Seed. Kristen Shockey authored a beautiful narrative on her home fermenting adventures accompanied by some tasty mustard recipes and I was able to provide some visuals for the tale. 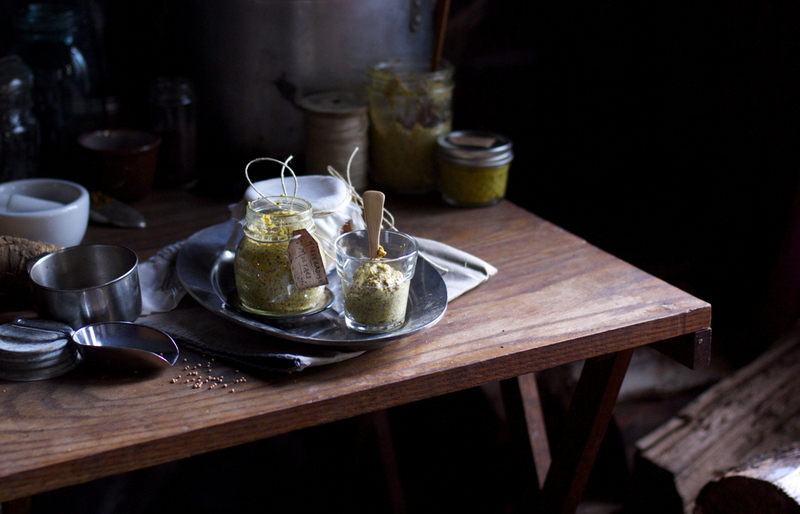 I took the opportunity as an excuse to travel up to my grandmother's Vermont cabin and I had so much fun trying out these mustard recipes (the Bavarian was my favorite), not to mention my first foray into making mustard kraut! If you haven't heard of Taproot I highly encourage you to find your nearest stockist and buy one now. Described as Kinfolk's earthier, humble cousin, Taproot offers an ad-free space for quiet farm stories, food, family, and craft. Made by gardeners, artists, and dreamers, it celebrates those that are 'living simply and digging deeper'. It is a publication I truly believe in and I feel so honored that my first published work would be in such a beautiful space. Also, what an honor to be in the same pages as my friend and amazingly talented artist Phoebe Wahl! 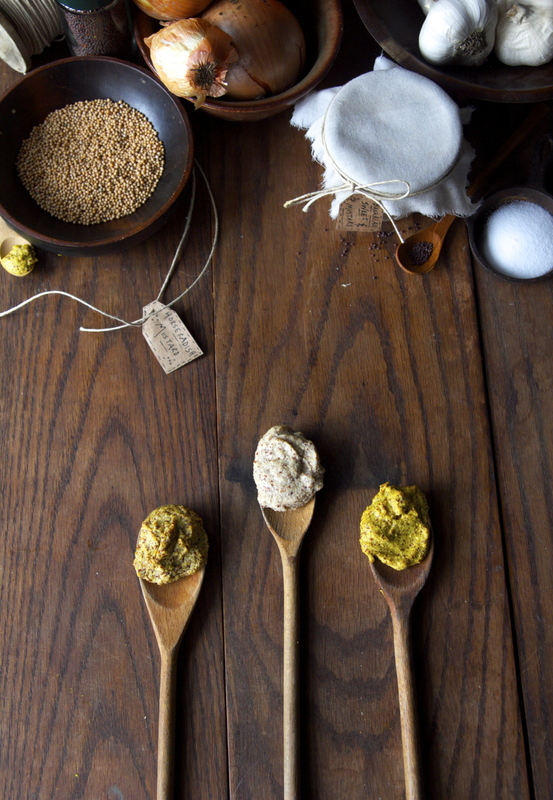 Here are a few outtakes from my mustard making and the recipe for my favorite, the Bavarian-Style Sweet Mustard. This is a mild sweet mustard. Its flavor is smooth and refined yet has a rustic heartiness to match grilled wurst. This version is not quite as sweet as its commercial counterpart; feel free to add more sugar to suit your palate. The onion mellows with fermentation and is the subtle base. In this recipe you will want to make sure that you allow time for the spices to infuse in the water. Place the cloves and allspice in a saucepan with the water. Bring this to a boil. Remove from heat and keep the spices in the water while it cools, to infuse more flavor. When the water has cooled, strain out the spices and pour the infused water along with the mustard seeds, onion and salt in a blender. Blend until smooth. As the mustard seeds break down they act as a thickening agent and become creamy first. Keep blending until it becomes a thicker paste. At this point the onions will also be completely incorporated into the mustard. Ladle your mustard into a pint jar, pressing out any air pockets as you do. When it is all in the jar you may need to work out any remaining pockets with a butter knife. Place the lid on the jar and tighten. Set on your counter to ferment for 3 days. After this curing time, open the lid (it may pop slightly as the CO2 is released) and stir in the brown sugar. It will take a little while for the sugar crystals to melt into the mustard, at which point your mustard will be ready to serve. Store mustard in a jar in the refrigerator.